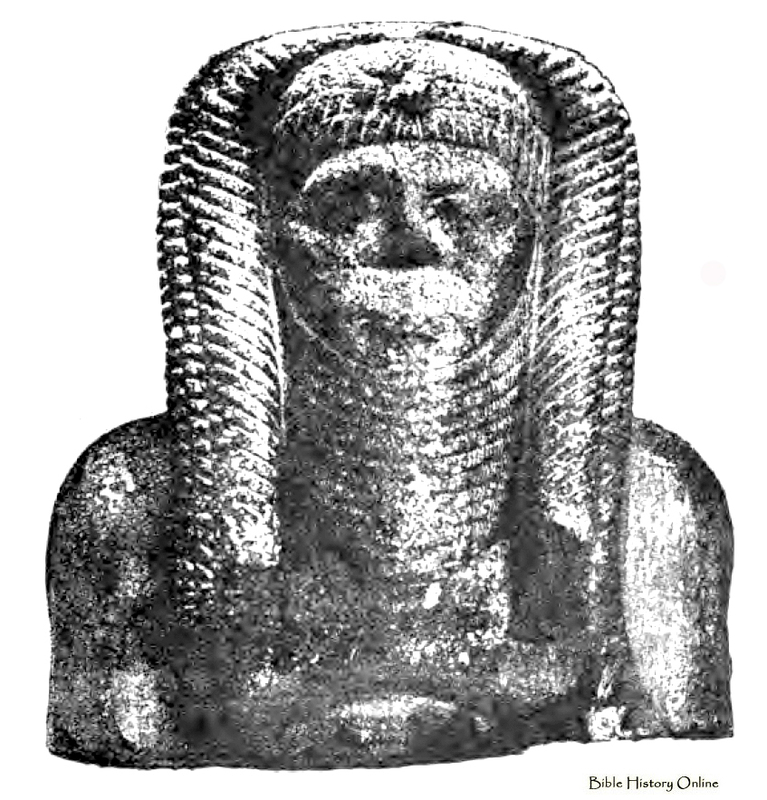 The Hyksos is the name applied to two dynasties of foreign kings who ruled Egypt around 1650-1530 BC(a). They are generally accepted to have been a Semitic people, from an unknown land, who invaded Egypt around 1710 BC. They ruled for over a hundred years until defeated by the Egyptian Pharaoh Amasis I. Their name was originally taken to mean ‘Shepherd Kings, but more recently, it is accepted that the Egyptian term ‘heqa-khase’ which means ‘rulers of foreign lands’ gives us a simple but credible title of ‘Foreign Kings’. It has been suggested by David J. Gibson (1904-1966) that the modern interpretation indicated that the Hyksos ruled a vast empire and has devoted a book to justifying this view(g). Walter Baucum summarises his view on the subject as follows, “The Early Hyksos Shepherd Rulers of Egypt were descendants of Shem and identical with Typhon and the Titans, the peoples of Set, and to some degree with the Hebrews. The Early Hyksos were to a large degree Israelites but after they left, the Amalekites conquered Egypt and were also referred to as Hyksos”. There have also been persistent suggestions that there were strong links between the Hyksos and Crete, as referred to below, but the exact nature of the links is unclear and may not be more than you get between nations trading over an extended period. The relevance of such links, if they were ever shown to be political rather than commercial, would take on new significance for supporters of the Minoan Hypothesis. Time will tell. E. J. de Meester has suggested links between Crete and the Hyksos, an idea an included in an article by Philip Coppens(b). In a similar vein Diaz-Montexano claims that a study of the names of the Hyksos pharaohs suggests to him that they were proto-Greek or Mycenaeans. An example of the diversity of opinions regards the origins of the Hyksos is a brief article written by Emilio Spedicato who identifies them with the Scythians. Perhaps even more radical is the suggestion by Riaan Booysen that the Hyksos were the fleeing Israelites in the biblical Exodus story(c). In fact he claims that there were two ‘exoduses’ which coincided with two separate eruptions on Thera. This idea is not as new as it might seems as something similar was proposed by the 1st century AD Jewish historian Josephus(d). Ralph Ellis, among others, has endorsed(e)(f) the idea that the biblical Exodus and the historical Expulsion of the Hyksos describe the same event.